Read carefully: any time you're looking for tutorials, downloadable files, or the likes, there are always pitfalls and evil sites lurking because they know this topic is popular. The cybercrime industry knows Photoshop pages are among the most popular on the web, so they try to get you. So surf with care ... it's Photoshop Madness! 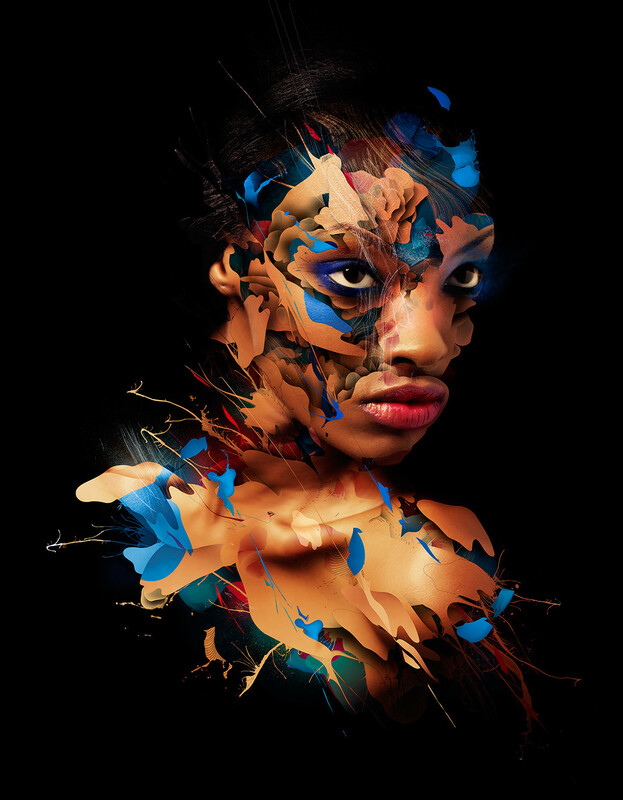 The extraordinary works of Alberto Seveso can be seen in an epic scroll by searching Google's advanced image surf. This link takes you to an interview with him at "Feel Desain" magazine online. Alberto Seveso is a self-taught Italian graphic artist and illustrator, who was first inspired by artwork on skate decks and music album artwork. His unique pieces have been featured on the covers of magazines and CDs around the world, and he’s collaborated with big names such as The Temper Trap, amongst many others. Alberto is probably best known for his portrait work and experiments using ink and high-speed photography. You can see all of his work on burdu976.com, his website or on Behance . Ed posts all these photos of antique cars, many of which are really fantastic. This is one of my favotires, and would make a fantastic tshirt !!! You never know who you're going to run into, Remy is from Kuala Lumpur, Malaysia, and doesn't write English. So he picks up this photo of Cameron Phillips from the 2008 TV series "Terminator: the Sara Connor Chronicles" and does these Photoshop techniques on it. Art by Ahmed Zidane shows up every once in a while on Facebook with some very interesting creations. The original version of this page is here.